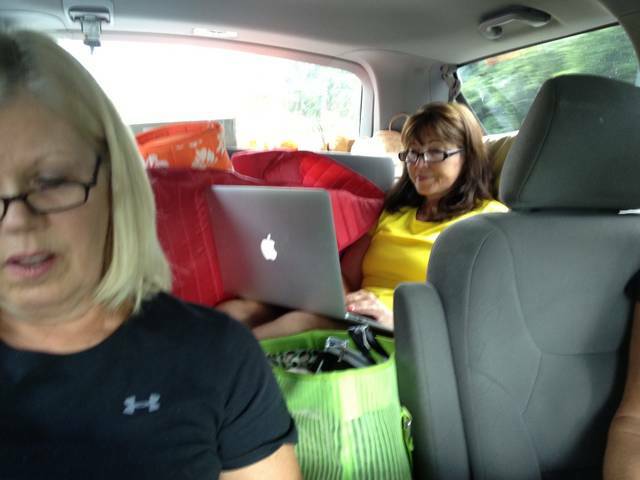 We are packed into the vehicle, along with all our STUFF, and headed home. Well, we are probably home by the time this gets posted, but at the moment I am sitting in “the hole” with my computer on my lap. Since I can’t hook up to anybody’s Wifi, I will just cut and paste later. And even though I already miss the ocean and its roar, I miss my girls more. The HHH have had a great time! We lived up to our Hogbottoms name by… well, let me explain Hogbottoms. All five of us are in a book club called Matilda and the Hogbottoms. 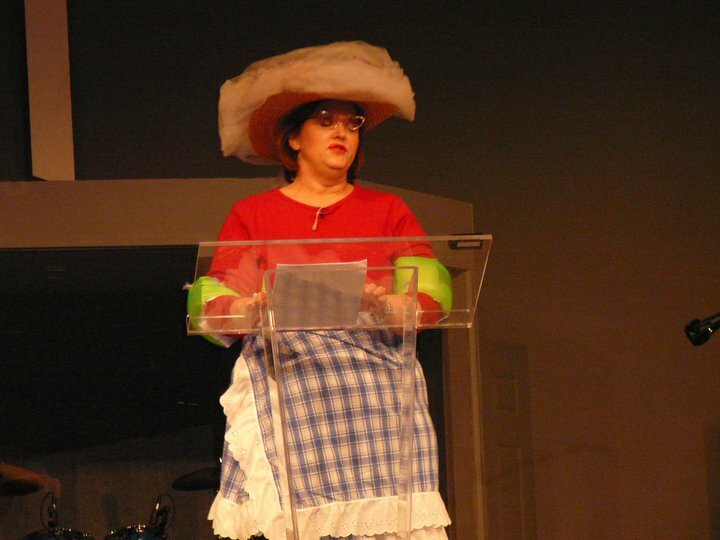 Matilda Hogbottom is the alter ego of my friend, Lisa Gulley, who performs at various venues in her Matilda get-ups with her hilarious skits. She really should go on the road. She’s that good and that funny! At one of our book club meetings, Matilda Hogbottom showed up with little tidbits to say about all the members. We laughed our buhineys off and were from thereon out called the Matilda and the Hogbottoms Book Club. putting the kindle in a big quart-size baggie kept it free from sand and salt water! This week we spent many, many hours reading and finishing our book for our next book club meeting (we also cried, rejoiced, held our breath, made theories of what could be the ending, and just flat out enjoyed that book) Oh, yeah, the book is called The Mountain Between Us by Charles Martin. After we finished that one, we started on new ones. 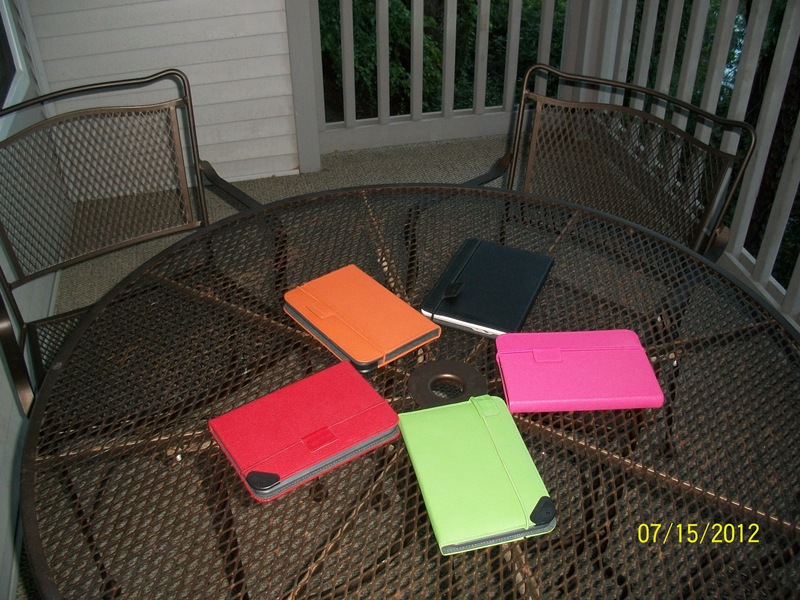 Our Kindles connected and made friends. We each had a different color! Mine is intellectual black. We also gave homage each evening, late, to our proclaimed name by chowing down at different restaurants. Darla said we were like “hogs at the trough.” And true to her analogy, we would clean our plates, practically licking them clean. But, boy, they have some goooood food down there! AND good desserts! 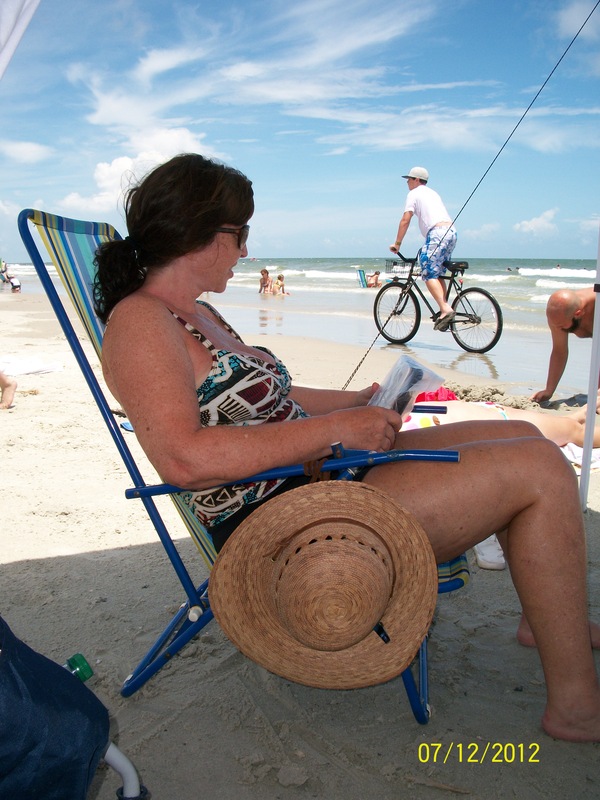 As is my routine on my last day at Hilton Head, I walked down the beach watching the families at vacation. It is great! I can’t decide which is my favorite: the older couple holding hands walking along the beach; the grandmas and grandpas playing with their little grandchildren in the water, jumping the waves; the little girl with her two Barbie dolls and pink Barbie car; the dad with his little girl riding the waves on her boogie board; the little tyke in the water getting bashed by waves and hollering “Daddy” while his daddy had already started toward him from the beach, hearing that tiny little voice above the din of the ocean waves and hundreds of people; the cute little teens playing frisbee or sitting on the edge of the ocean waves; the families playing games or building awesome sand castles; the little bitty ones on their first trip to the beach, overjoyed with the waves. Everybody watches out for everybody else. A big family of families. We were all mesmerized by the catamaran that overturned. Actually, it sunk. 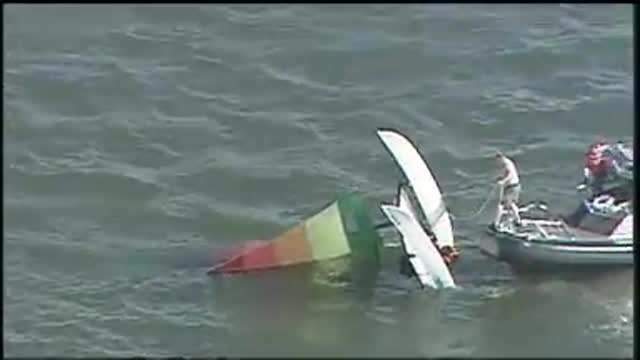 I had noticed it being rather sluggish out in the water; usually the wind will pick the sail right up and take the little boat flying off across the water. But this particular boat was just not moving and even looked like it was sinking. Odd. The next time I glanced over it was on its side! The whole beach was watching. Finally, we saw a lifeguard swimming out to the little family, then another lifeguard. They eventually got the boat back to the beach, and I was there waiting to see the end result. Two young girls, maybe 11 and 12 or so, were taking their picture in front of the beached, warped-sail boat, so I asked them if they were the ones that had been on it. Yes, they were. Then the Mom and Dad came up, and we all chatted about their exciting adventure. Apparently, the young man renting out the boat had failed to put the plug in, and it had started taking on water in the pontoons. So it really did sink! According to the girls, that was the best thing that had happened all week! Vacation. I even like the way the word feels in my mouth and across my lips. Yum. 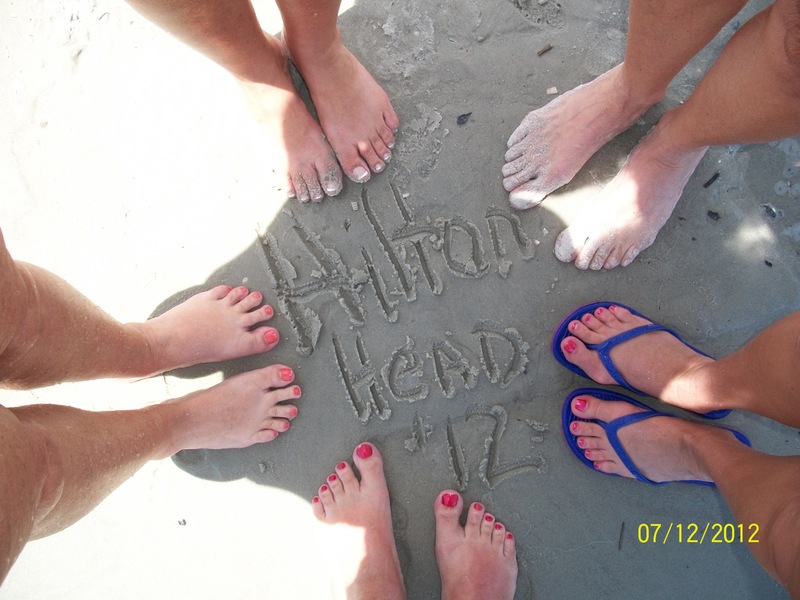 Ok, here is my guess this year… Aunt Brenda’s feet are by the H in Hilton and the H in Head, and Aunt Darla’s feet are right above the word Hilton. I couldn’t decide if it was the fat, stubby legs that gave me away or the fat, stubby, Vulcan toes. Alas. What a great vacation with friends that love and care about each other. No one ever in a hurry – just enjoying each moment until it takes us somewhere else. Oh, how I love HH!! So glad you had a good time. My favorite thing to do there…ride bikes with the family on those beautiful shaded bike paths. We would ride every evening for miles. Ahhh.